To enter the giveaway for a print copy of the book Most Likely please leave a comment and an email address below by midnight August 29th. A winner will be chosen Saturday August 30th at 8:00 AM, EST. I will announce the winner on this site an will email them. Thank you for entering. I guess I will address the style of writing first. It was so smooth and fluid that I believe even reluctant readers or those with reading difficulties will be able to pick up this book , read and enjoy it. I don’t know if it was just his style of writing or because I am a teacher that I was able to slip into the story and identify with these teens. Either way he is an author to watch out for. As a teacher I see the pressures teens are under every day. No matter what your religious beliefs, teens all face the same pressures. They must deal with friendships, and decisions about their behavior in all situations. Most teens see themselves as invincible. The bad things won’t happen to them. I became a Christian as a child of eight years old. I can tell you that I faced the same pressures as my friends who were not Christians. 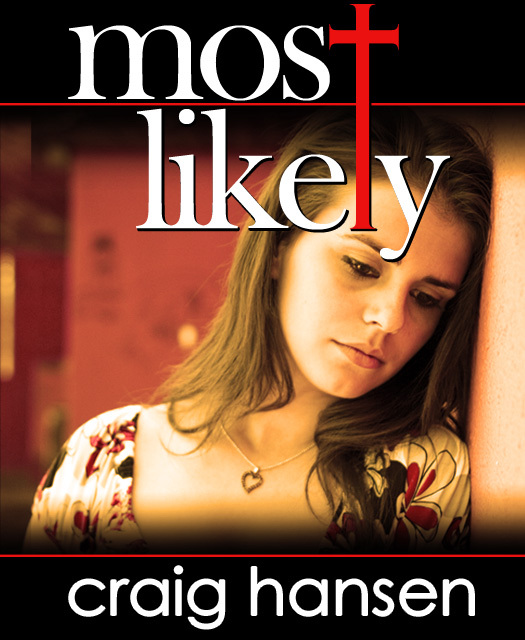 Craig Hansen has crafted a realistic story that shows just some of the pressures your typical teen may face. He then throws in the pressure of abuse, keeping secrets, family problems and the emotions of dealing with all of these issues. I had difficulty stopping for anything while reading this book. I look forward to it coming out in physical form so that I can add it to my shelves at school. Although many people who read this might not think it is a book that should be placed in middle schools because of the topic of sexual pressure, I disagree. In the last three years I’ve known at least four middle school students who made bad choices and got pregnant. A book like this lets the reader know that the feelings are normal but that everything in life comes down to choices. The way the main character handled all of the situations she was faced with, made it extremely believable. It did not portray her as this super human teen able to conquer any problem thrown at her. It showed the emotional roller-coaster she was on. I not only look forward to reading more by this author, I plan on telling everyone I know about his work. I really enjoyed the light Christian theme. So many times our teens feel like they are in the world alone faced with decisions they don’t want to make. Christian or not this book fills that gap. Anytime a book can bring out the emotions this book brought out in me, it goes high on my list. Go to Craig Hansen’s website and read the first chapter of his book. Well, I’m in my mid-forties and have been taking myself seriously as a writer for close to thirty years. I wrote an earlier version of MOST LIKELY in my early twenties, when I was in college earning my master’s degree. I became sidetracked into journalism and a lot of other things that were not fiction writing for a couple decades, but my wife has been a wonderful encouragement to me to start doing more with my fiction writing since we were married. So now I’m finally doing that. MOST LIKELY is my first novel. I was down-sized in March out of my day-job and grabbed onto that old manuscript as a way to get something into print in a hurry. I updated and revised it extensively, so it now bears only a passing resemblance to its original form, though many of the story beats remain the same. I am, by nature, a night owl. So my routine goes something like this, since becoming full-time: I get up around 11 AM CDT, and within a half-hour, I begin my work day as far as writing is concerned. I also do some contract-based freelance editorial work, so sometimes I’ll do that for a few hours until I’m ready to write. But I write or do related work for about an hour, take a brief lunch break when my wife comes home from her shift, then go back to work for all of the afternoon. Around five or six in the evening, I break to supper with my wife and father (who lives with us). I then devote the best part of the evening to family time. My wife, for her job, usually likes to wind down around ten in the evening, so after walking our miniature Doberman Pincher and doing some last-minute chores, I try to be done with everything by ten. We then watch the first ten minutes of the local news, maybe the weather, and I begin my evening shift by around ten thirty. I’ll write or do writing-related tasks until around three in the morning. Sometimes later, but I try to start winding down around three. Then I read something on my Kindle for a while and fall asleep and start all over the next day. Of course, there are variations in this routine, but it typically bears me about eight to ten hours a day of writing time, and I try to dedicate at least half of that time to actual writing. Sometimes more. Sometimes less. And I write six days a week, taking time off from all of it only from sundown Friday to sundown Saturday. Q. Are experiences your characters face based on someone you know? Not necessarily on any one person. Usually my characters are patchwork jobs; a bit of this, an observation from that, that sort of thing. Sometimes I’ll insert characters who are named as tributes to people I used to know, but the character isn’t them; I just named the character as a remembrance of a past friendship. And even then, it’s just a first name or a last name only. Q. Your main character is a female, so as a male did you have any challenges getting into Becky’s head and writing from her perspective? To some degree, that was a challenge, and one I took on very intentionally. I’d read once that Stephen King’s first novel, CARRIE, was written based on someone challenging him and his ability as a writer. They basically accused him of being incapable of getting inside the head of a female character. So he wrote CARRIE as an exercise in proving them wrong. I figured if that approach of challenging oneself worked for Stephen King, it would help me grow, too. I have to say that I made sure my group of beta-readers was well-stocked with females, to help ensure I didn’t look too foolish in the process. And they were needed. Q. What was your inspiration for writing “Most Likely”? What was the significance of the title? Back in college, I read and enjoyed a lot of coming of age novels. However, most of these novels defined coming of age – the process of growing up – as having one’s first sexual experience. That always struck me as incredibly narrow and limiting. Any lusty teenager can choose to engage in a sexual act; that alone doesn’t make a person an adult. So I wrote MOST LIKELY as a response to that trend in young adult coming of age novels; I wanted to tell a story about growing up that encompassed a more holistic perspective on what that meant. The title itself was intended to reflect an underlying theme of the book; that there are no certainties in life, only our best guesses, whatever is most likely, until we get to such moments of decision that we find out for sure. And sometimes it’s not what we expected. Q. How much research did you have to do for this book? I found out that most high school tracks were composed of red kalite, not black asphalt, so that changed as a result of research. I did a little research into Tammy Jo’s medical condition and how much I could play around with the limits of what she could suffer, what her body could tolerate. But I don’t want to go into details on that, because they could potentially spoil the outcome of the novel, for those who haven’t read it yet. For the most part, I tried to keep the scope of the novel into subject areas where I felt confident and that did not require a lot of research. Q. How do you get started with writing a story (as in, how do you start developing the story, how do you get inspired for it). It varies from project to project. With MOST LIKELY, I was originally in my master’s program and the novel was my creative thesis. Once I knew what story I wanted to tell, I moved forward pretty slowly until the last possible moment, and then wrote two-thirds of it in a dead heat, in the space of about a week. And then revised from there. When I updated and revised it for a 2011 audience, I worked at a steadier pace. The whole process took under three months. Q. What was the most difficult part of writing this story for you? In a way, staying motivated was a bit tougher than I expected. That was the case largely because MOST LIKELY is a story I’ve lived with and worked on for over twenty years. So while it was somewhat fresh again when I re-entered it into a modern word processor at the beginning of the revision process, it grew so familiar to me that by the time I was going through it for the sixth and seventh passes, searching out final errors, it was a challenge to keep myself looking at it with eyes that were not tired. I think there’s a point where you become so intimately familiar with your own prose, your own story, that it’s hard to see it from the outside. So when some reviews come in, or readers approach me and say, “Gee, that scene in Chapter 24 really meant something to me,” or “That final chapter really moved me,” or whatever, it can almost take you by surprise because you’ve been through it so many times. You kind of become dulled to how successfully you pulled something off. You get so focused on “search and destroy the mistakes” that you forget that maybe you did a few things well to begin with. Q. What genre of books do you like to read? Do you limit yourself to only the genre that you write yourself? I don’t always read strictly within my genre. I read plenty within it, but I love to explore outside of it as well, because good writing is good writing, so I’ll go where the good writing is and learn from that and apply those lessons to what I’m doing. MOST LIKELY is young adult Christian coming-of-age. There’s not a lot out there like it. Add to that the fact that MOST LIKELY doesn’t contain sermons or a salvation plan, but just tells a story about a character who’s a believer, and there’s even less like it on today’s market. MOST LIKELY was an enjoyable novel to write because of that. I used to read, back in college, a fair amount of CBA-approved Christian fiction, but I don’t really find much in that market that engages me anymore. I’m not someone whose work fits in well with novels that sermonize. I don’t like things that break the narrative flow. So what was I reading at the time I first wrote it? Stephen King, and Gregory McDonald’s Fletch mystery books. In fact, there are minor tributes to both writers in MOST LIKELY. I left them in. I also enjoy reading lots of indie authors, such as Victorine E. Lieske (clean romance), Amanda Hocking (paranormal suspense), J.L. Bryan (horror), David McAfee (horror), L.J. Sellers (mystery/police procedural), and Cidney Swanson (paranormal romance). In terms of traditionally published authors, Stephen King comes first and foremost. Beyond King, I enjoy a lot of mystery and suspense authors, including, in no particular order, Jeff Lindsay, Harry Kemelman, Faye Kellerman, James Patterson, and lots of others. In the young adult arena, I’m as influenced by Terry Davis, Chris Crutcher, and A. LaFaye (who was a college classmate of mine), as I am by the current crop of young adult paranormal writers. I think eventually I may have works of my own in all the genres I enjoy reading. But I’ll always read a lot of writers outside of my own genre or genres, because for me, finding quality writing and learning from the good writing of others is more important than just reading what other people are doing in the same genre as me. Well, I grew up in the Upper Midwest and so my novels are set there. That’s an obvious connection. Our family wasn’t rich and wasn’t quite poor, either. We had most of the things we needed and sometimes a few wants as well. Lower middle class, I guess. So I’m sure that affects my worldview and how I portray things and people. I came from a much smaller town than I portray Hope, Wisconsin as being, but the nature of community relationships found in Hope are probably more a reflection of growing up in a smaller community. I used to really enjoy videogames – PlayStation 3, Xbox 360, and the like – as a form to relaxation, but that’s been changing. I love fishing. And we’re moving our family to Oregon later this summer, so I’m sure I’ll be doing more outdoors. I like to swim. I love to read. But since becoming a full-time writer, I’ve found I actually work harder and goof off less than I did when I had a day job. Q. What dreams have been realized as a result of your writing? Well, my mother never lived to see it, but I recently put out a print version of MOST LIKELY through CreateSpace. Having that first novel in printed form means a lot to me. The newspaper jobs I did, even though I won awards and such, none of that means as much as that trade paperback of MOST LIKELY with my name on the front. Maybe I’m a bit traditional, but that told me I’d arrived as a writer, even moreso than my eBook showing up on Amazon and Barnes and Noble did. For setting a standard of writing that I felt I might someday be able to aspire to, I’ve learned more from the published works of Stephen King than I have from any other author. It’s not always been trendy to admire King, but when it comes to eminently readable prose, believable characterization, compelling plots, and so forth, King excels on so many levels, when he’s at his best. And even when he’s not, an average King story is told better than most writers on their best days. So his work has taught me a lot. However, when it comes to actual mentorship? To me, that requires personal interaction. I’ve never met Stephen King face-to-face. So in terms of direct interaction, I’d have to give the most credit for mentoring me directly to young adult novelist Terry Davis. He was literally been my writing mentor for both my bachelor’s degree and my master’s degree in English. I learned from him directly and owe a lot about how I approach writing to him. For example, it was Terry who helped me realize, in my early twenties, that I could admire Stephen King and his writing without having to write the same sort of stories, or the same genre, that King did. Seems obvious, now, but at the time, that insight really freed me up to discover what sort of stories I wanted to tell. Q. If you could leave your readers with one bit of wisdom, what would you want it to be? I’m not sure. I try to let my novels speak for me. There’s a reason for that. There was a time in high school where I considered not moving ahead to college. I had my first group of real friends and I didn’t want to leave them behind, even though I knew I had to if wanted to take advantage of what I was good at and make something of myself. Now, if I’d read an interview, and Stephen King had said, very blatantly, “Forget holding on too tight to your friends, that’ll only hold you back. Take advantage of your talent,” I would have blown it off. It wouldn’t have affected me at all. It might have even annoyed me. But at just the right time in my life, I read his short novel, “The Body,” from his DIFFERENT SEASONS collection, which became the movie STAND BY ME. And the narrative of “The Body” was so compelling, so strong, so influential, that I came to the conclusion that I needed to follow my talents, rather than my friends, tough as that was for me at the time. King’s story, “The Body,” changed the trajectory of my life. In some ways, it changed my life. But it did so as a narrative, not as a few words of wisdom. So that’s why I try to let my stories speak for themselves. Because often, there’s more in there that’ll speak to more people in more ways than any direct, “Do this, don’t do that” bit of advice I could ever dream up. So far no one’s really savaged me. The worst anyone’s said is, “It’s not my sort of thing, but it’s well written.” When you’re dealing with a novel that ventures into the area of faith, that’s fully expected. The biggest compliments have been a couple of different reviewers who used phrases like “gentle rhythms” and “lyrical quality” to describe my prose, which is highly complementary and perhaps not entirely deserved, but always wonderful to hear. I think the George W. Bush answer is to go for the often-unspoken, obvious answer and say Jesus. But putting aside the “proper” answer, I have to admit that even though I’ve never met him and have no idea if we’d get along in person, I’d love to sit down with Stephen King over a steak dinner sometime, and just talk craft. Q. What is something surprising or shocking about you that most people don’t know? For those who know me in a religious setting, it’s that I’m a novelist. For those who know me as a novelist, it’s probably that I’m a Messianic Rabbi in training. Two sides of the same coin; whichever way someone knows me, it’s the other aspect that might surprise them. Q. What is your main goal or purpose you would like to see accomplished by or with your writing? The main goal of my novels is to entertain. To spin a tale that captures a bit of life, and some truths of life along the way, in the process of that. Nothing more complex than that, because I think doing that in the best way possible accomplishes something special and rare, in and of itself. Some people may think entertaining others isn’t that high a calling, goal or purpose. I’d suggest they don’t deeply understand entertainment at its best. Q. When you wish to end your career, stop writing, and look back on your life, what thoughts would you like to have? I fully hope to be writing something right up to the point where I draw my last breath in this world. Writing is a way of life. And a way of processing life. It’s not a job that one would typically retire from, unless illness or poor health prevents it. Q. Do you have any specific last thoughts that you want to say to your readers? Don’t let the “light Christian themes” scare you off. MOST LIKELY is first and foremost a novel. It just happens to feature a main character who is a believer. And if you enjoy it, keep an eye out for my next two works, coming later this year. SHADA is a short novel that I like to describe as my take on Stephen King’s “The Body,” only with a female cast. And the follow-up to SHADA is a full-length novel, young adult paranormal suspense, called EMBER. It’s what I call “light-touch” paranormal because there are some supernatural elements, but they don’t overwhelm the book. So while there are characters with unusual gifts in the EMBER, there are no sparkly vampire boyfriends lurking around every corner, nor are there going to be any vampire-werewolf wars. Nothing against those types of novels. I read Charlaine Harris faithfully, and I’ve gone to the Twilight movies with my wife. But that’s not who I am, as a writer. SHADA and EMBER are the first two installments in my EMBER series of novels. They’re fun, light, entertaining reads. And with a bit of hard work and good timing, I’m hoping both will be released later this year. In the meantime, enjoy MOST LIKELY. It introduces the setting of all three of my books, Hope, Wisconsin. 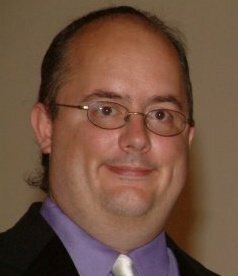 This entry was posted in July 2011, New Author Interview. Bookmark the permalink. SouhlasÃ­m ! Sleduji pÃ¡r blogÅ¯, kde pÅ™eÄtu ÃºplnÄ› vÅ¡echno a takÃ© pÃ¡r blogÅ¯, u kterÃ½ch koukÃ¡m jen na fotky. Tenhle ÄlÃ¡nek jsem pÅ™eÄetla jednÃ­m dechem, tak hÃ¡dej kam patÅ™Ã­Å¡ ty?!? TakÃ© jsem si chtÄ›la zaloÅ¾it blog o knihÃ¡ch, ale myslÃ­m si, Å¾e na to nemÃ¡m. No, uvidÃ­me !